A very nice evening here at Langara, some nice springs hitting the dock and two tyee released! 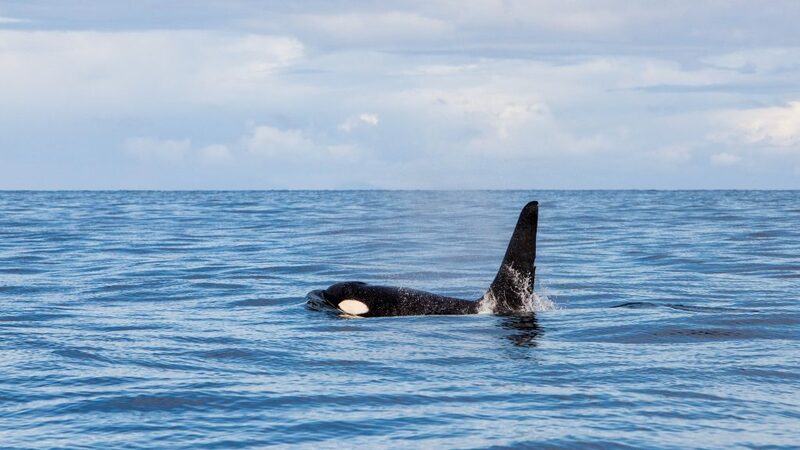 I am still gathering information and photos from the last two days, but I can confirm two tyees were released. One was in boat 10, Owen guiding Fred Buttrell to a quality 34 lber in Bruin Bay at the start of the flood. 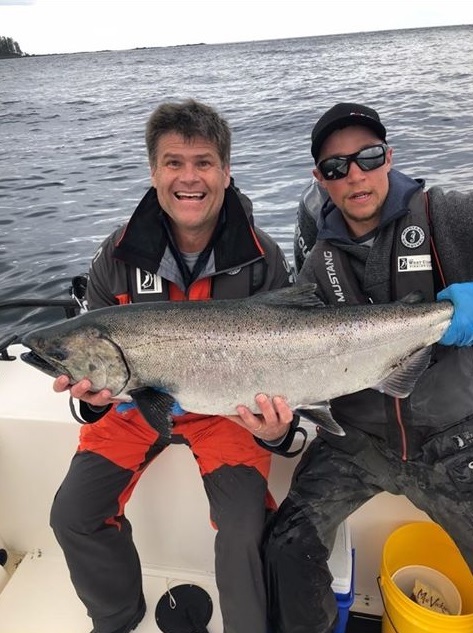 This tyee was released – see photo below. 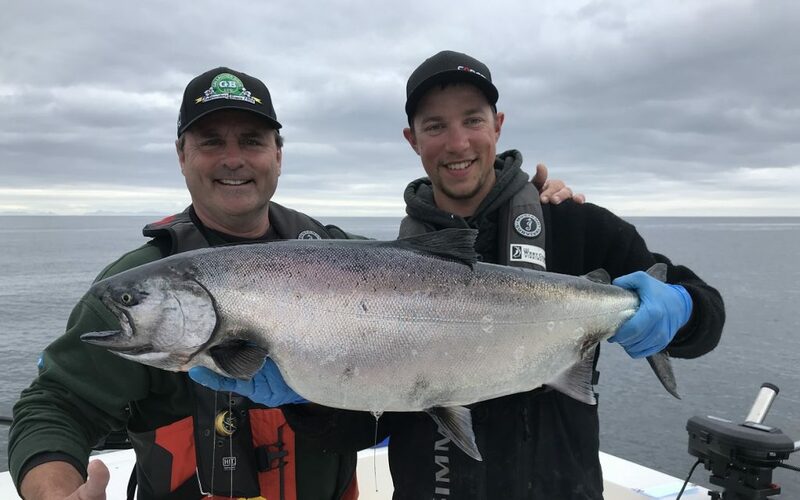 Korey guiding Gary Hayden grabbed a 36 today, also released. Fred Buttrell 34 pound release guide Owen. 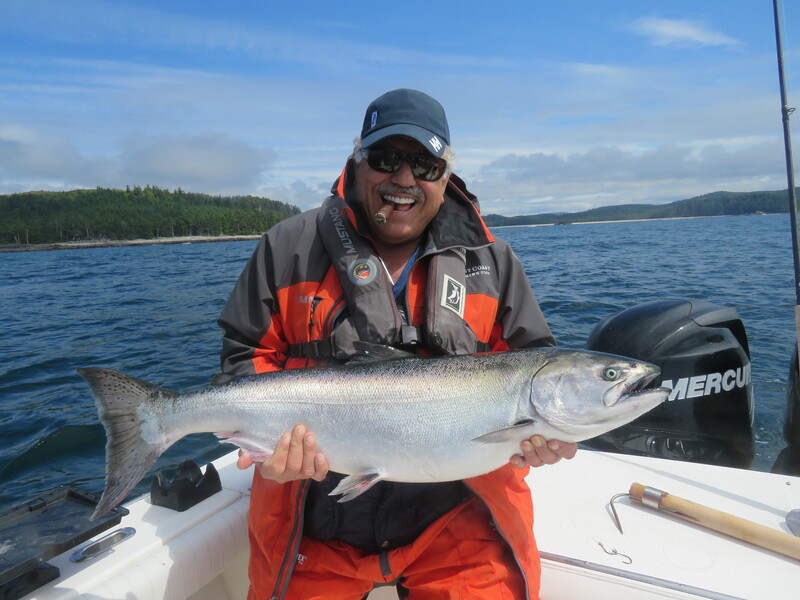 Fishing picked up on the last trip with some chinook hitting in all areas. 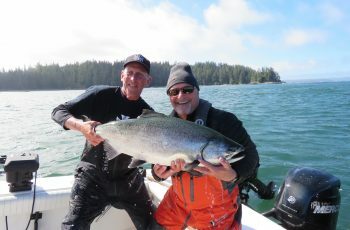 Below is a nice photo of Owen and his guest with a nice chinook. 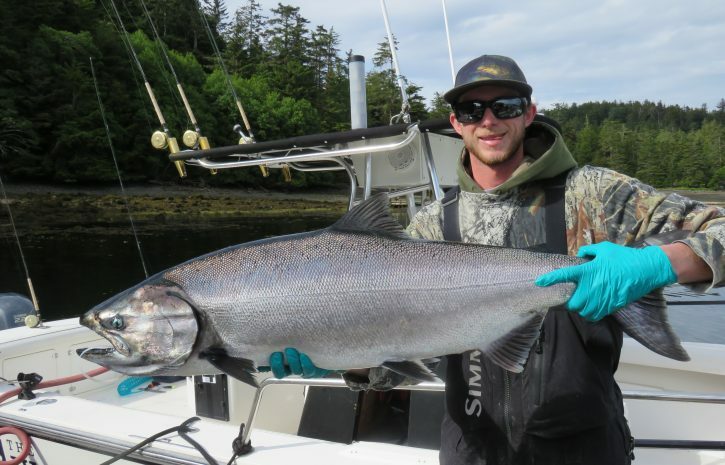 Owen Drysdale and his guest with a nice chinook. 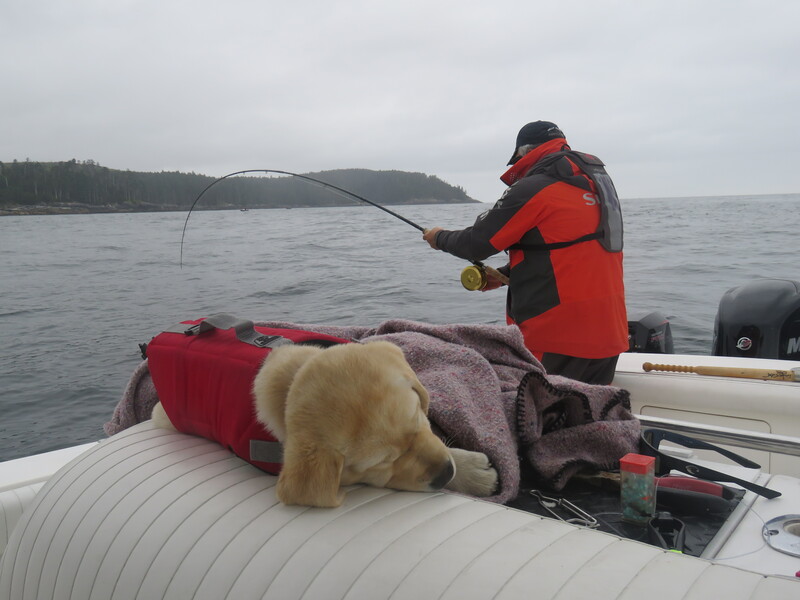 A few of the guides and myself fished on the outside and did well on both springs and halibut. 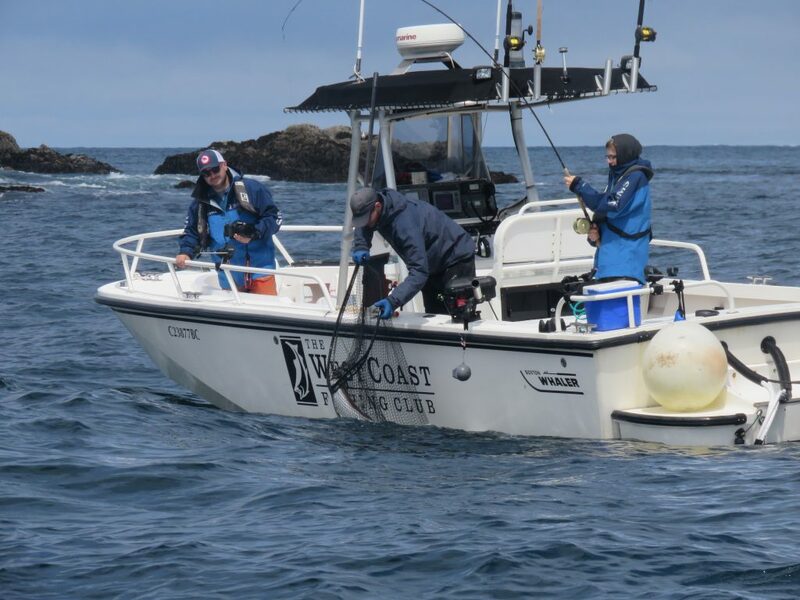 Again, the halibut were troll caught in shallow water on the mooching rods. Below is a photo of Brent getting in on the action with the Spafford’s. I know what your thinking, netting halibut. That said, a nice way to measure them safely as there is the maximum size limit in effect of 115 cm. 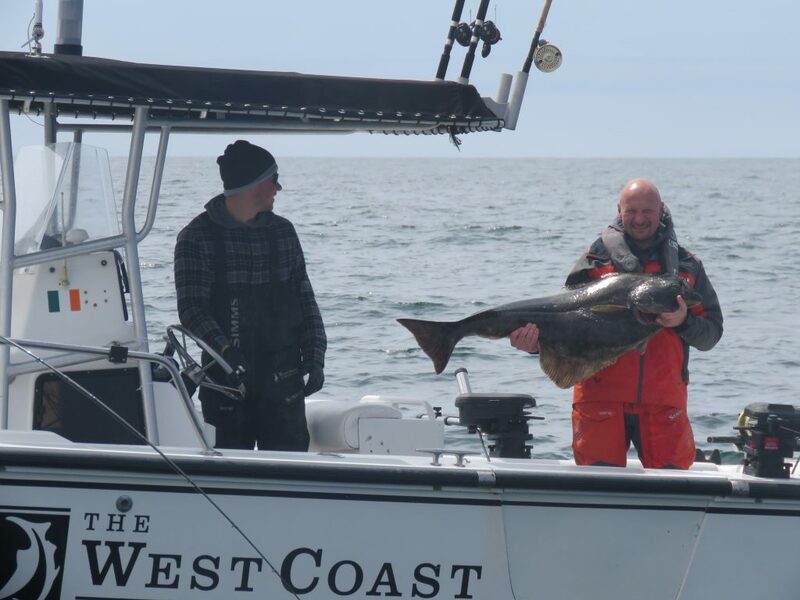 Brent with the Spafford’s slipping a nice halibut into the net. Nate got in on the action with his guests, here holding up a 105 cm strong chicken. Nate and his guest showing off a strong chicken! I was fishing with Randy and Dennis Parnagian and we easily caught our halibut and chinooks out west. Our halibut were again trolled up in short order, mid-twenties to mid-thirties. If you trolled ten feet off the bottom it was halibut country for sure. 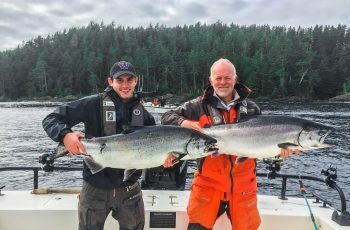 Below are a couple pictures of the Parnagian brothers on a very sunny calm day catching some nice chinook for the table. 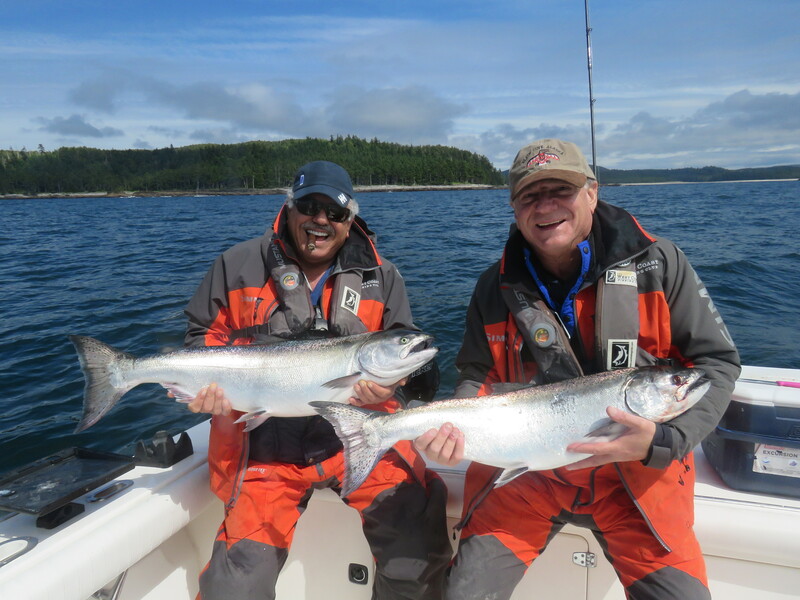 The Parnagian brothers Dennis and Randy with some nice chinook. 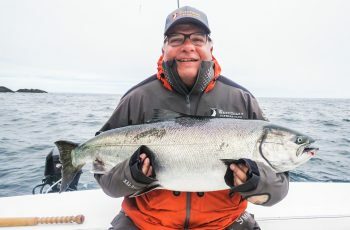 Dennis Parnagian with a nice chinook we grabbed out west. I did not hear of any really large fish last trip but we saw a dramatic increase in bites. Those looking for action moved offshore Pillar Bay trolling east towards Green Point. Here all boats hit plenty fish 12 to 16 lbs with some topping 20 lbs. I never went out but those boats that did easily blew through a box of bait. The weather has smartened up and those gales of spring are now a distant memory. Herring schools have showed up as well as bubble feeding humpback whales, another positive sign for sure. Our usual hotspots a bit quiet, with Gunia and Lacey not happening. 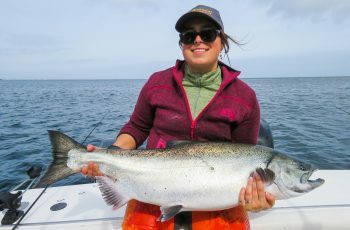 A few chinook have been harvested at Boulder, a couple in the Bowel, and up the east side has been better. I saw large amounts of herring tight to shore north of Andrews this am. We are still fishing shallow for the larger fish. Lucy not impressed, fish on off MacPherson. I have a long day set up tomorrow, so time for some sleep. 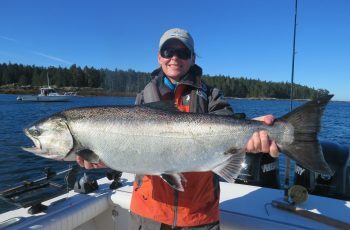 Looking forward to some larger chinook moving through our waters and peaking our interest once again. Hopefully I will have some tyee release shots to share with you all on the next report. Thanks for checking in, goodnight from The Clubhouse. Screamer….excellent pics of our catches. Can’t thank you enough being the best at what you do!! You and the other guides made our trip fantastic and can’t wait to see you again next year.